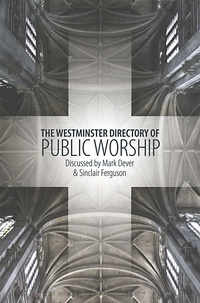 The Directory of Public Worship was composed by the same group who wrote the Westminster Confession of Faith and the Larger and Shorter Catechisms. They were appointed by the British parliament to restructure the Church of England. Their recommendations were adopted in England and Scotland but later revoked in England. These documents form the basis of the Presbyterian system of church government and practice. Here it is discussed by Sinclair Ferguson and Mark Dever. They write with clarity making it palatable even to modern readers beset by busyness & multiple distractions.